Dating nowadays is not as easy as we would have thought. Finding the perfect match is not as easy as buying an item from an online shop. But what we find interesting is that there is a growing pool of relationship prospects which belong to those who scout, hunt, and bargain for the best deals online - they are the online shoppers. 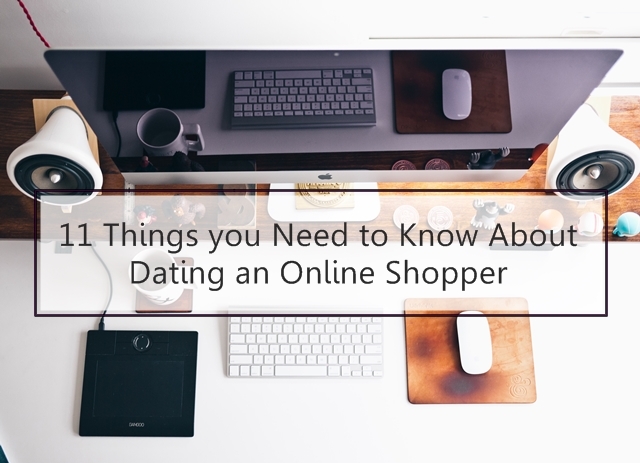 This collaborative article of Lazada and its Facebook followers, take you through the 11 things you would need to know when you find yourself dating an online shopper - and trust us, you would never look at online shoppers the same way again. Terrific Knowledge Power. To make purchases less risky, online shoppers research extensively to make sure they have made the right choice. You name it; your biodata, Facebook, and other social media have been checked since they want to know you from head to toe. Expressions Super Gigantic. They are honest and super vocal on things that’s why they love sharing product reviews. You have to wait what they’ll say about you because you’d love them even more since their lines are deeper than what Romeo and Juliet used. Snapshot the Magic. Online shoppers need wifi connection 24/7 to check what’s on the site or if there’s anything else worth buying. You’d be surprised that they’ll post everything you have done on social media gaining all the comments and the likes. Quality Time Fanatic. You wouldn’t see online shoppers stuck in traffic just to hit the malls - or better yet, you wouldn’t see them at malls at all. With so much freed up time, you are sure that online shoppers can give you your well-deserved bonding time. Obsessed with Biometrics. Online shoppers love playing spotting the differences. They actually double check whether the photo on the site matches the one delivered. You better be sure to lessen the photoshop or edits on your photos since they’d probably do the same when they have finally met you. Adventure Trip Fanatic. If you think online shoppers only enjoy flash sales and vouchers then you’re wrong. You’d see them everywhere singing, partying, dancing - all jumping with joy. You’re up for an adventure from the mobile app, beaches, amusement parks until the church if that’s your goal. Gift Giver Turner. You see them endlessly buy and you wonder why. Online shoppers get a wide array of products not only for themselves but for others too. You officially met someone selfless who’s actually good for you. Always There Automatic. Time is as precious as gold for online shoppers. They want things happening fast and instantly with just one click or tap of the finger. You’d probably met the “Flash” of your life. You better get ready for your “faster than lightning” shenanigans. Never be Problematic. Online shoppers don’t need lawyers, analysts or consultants to make their lives ever so bright. It’s inborn that they know what strategy to use whether it’s online or offline. Your life will be hassle-free once you start to date, put the ring, and say I Do! Romantic Little Banker. They always want the biggest deals and the largest discounts. Eyes of online shoppers start to spin when they see the promos and vouchers within their reach. Imagine the money they save with all those clicks. It’s an investment plan for your future even the rich couldn’t think. Road to Forever. Online shoppers once they go online know what they want to buy. There are no more questions for them whether it’s a deal or no deal. You shouldn’t be in doubt anymore since they are 100% sure about dating nobody but you. Dating an online shopper is indeed very fun, thrilling and romantic. Our facebook followers agree that online shoppers know what is best and they always assure themselves of the decisions they make. That’s why we’ve got you covered on your next date since it is the perfect time to enjoy huge discounts, amazing products and countless promos all up during Lazada’s 11/11 Online Revolution. Lazada is your one stop shopping and selling destination that offers you effortless shopping through PC or the new mobile app. So what are you waiting for? Join Southeast Asia’s biggest online shopping spree starting this November 11, 2015 with none other than your awesome online shopper partner. Where to Pig Out? - NEW BLOG ALERT!! !